Art Wrapped Toolbox Caution In The Wind Deer | BUDK.com - Knives & Swords At The Lowest Prices! Don’t just carry around a boring, old toolbox that has no personality to it. 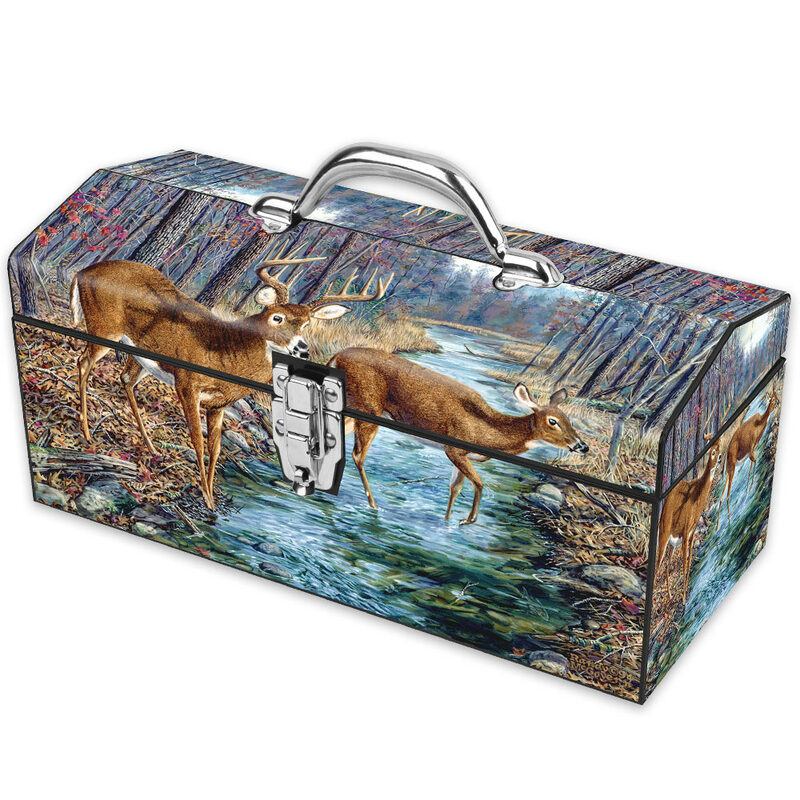 Carry your tools in style with the Art Wrapped Toolbox with a Caution in the Wind Deer design. This 16” x 7 1/2” x 7” tool box is made out of durable steel with a powder coated finish that is rust-resistant and a colorful vivid design. It also has a rugged all-steel end cap construction for greater strength. A nickel-plated steel latch and hinge provides added security and a heavy-duty steel handle gives you a strong and reliable way to carry it. It also features a full length tote tray.